It’s that time of year again where we celebrate excellence in our craft. We are excited to announce the nominees for the Best Newcomer & the Best Showcase Awards and to open voting so you can have your say. Season 8 introduced us to some phenomenal voices and gave us new faves to follow. Now it’s up to you to decide who deserves the award the most. As usual, our showcase acts did not disappoint. It was a tough challenge shortlisting just 6 acts for the public vote but here we are. Nomashenge Dlamini blew us away in April with her unforgettable voice accompanied by the oh so talented Tshitso Makunyane. Mathematics brought seSotho to life in an extraordinary way in May. June came with a beautiful surprise when Sio & Kim got us deep in our feels and absolutely spelbound by their melodies. Xabiso Vili took to stage on a icy July afternoon with nothing but fire as he experimented with micro poems that had us begging for more. Who can ever forget a performance by the most dapper poetry duo alive? Puns & Things did the most in August! 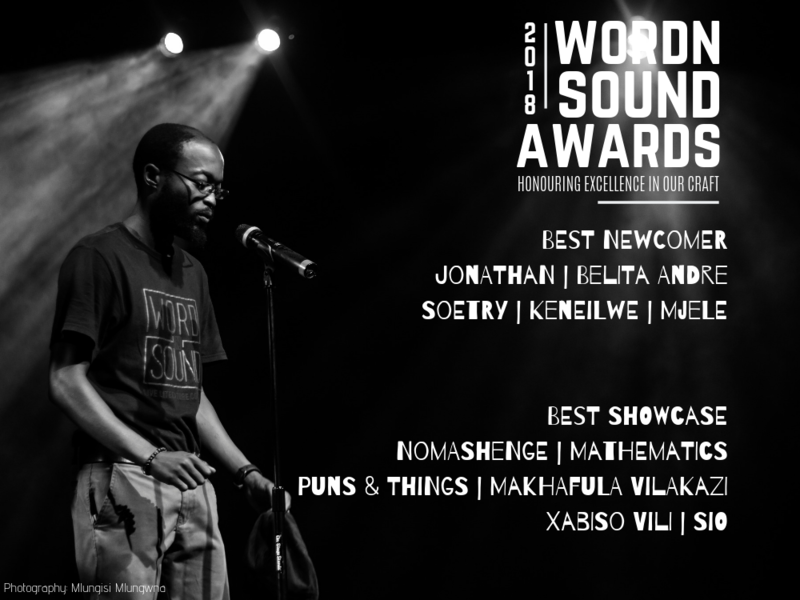 Then, Makhafula Vilakazi and some of the members from Iphupho Lika Biko gave us a season finale better than we ever could have dreamed of in September. Now it’s up to you to decide who will walk away with the Best Showcase Award next month. Here’s a taste of all the magic we got to experience to help you decide on the most deserving winners. Voting is open from Saturday 2 February and will close at 20:00 on Sunday 17 February. You can cast your vote once and hour, so be sure to get behind your favourite to ensure they walk away with the award on Sat 2 March.